A home with a tile roof is not only distinctive because of its traditional charm and attractiveness, but it also means your home’s structure is strong — strong enough to bear the weight of the tile. 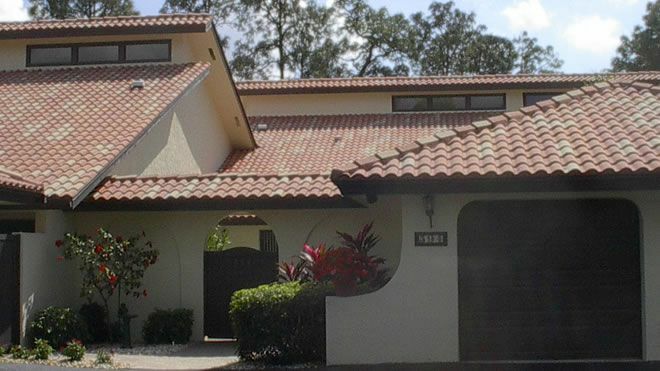 Tile roofing material is durable and time-honored. Tile roofs can endure for hundreds of years, longer than a lifetime. But, as with any man-made material, maintenance and regular inspection of your tile roof is required to forestall an exhaustive and costly tile roof repair job. The effects of weathering and time can cause the color-coating on top of cement tiles to fade. Cleaning and resealing roof tile can keep pigment color brighter and tiles from weakening due to wind and rain erosion. Cleaning also helps to prevent unsightly algae or moss growth on roofing tiles. One of the big don’t s regarding a tile roof is do not walk on the tiles. Repair personnel servicing any non-roofing problem can wreak havoc on a tile roof. Experts in roof repair or roof installations know where to position their weight when walking on a tile roof is unavoidable. Broken or loose tiles undermine the integrity of your tile roof. Walking on the hips of the roof easily break vulnerable cut tiles. Broken tiles allow water and damaging UV rays into your tile roof’s underlayment. Broken or loose tiles require immediate attention by professional roofing contractors. The easiest way to avoid such repair work is to keep foot traffic on your tile roof to an absolute minimum. Improper installation of a tile roof translates into tiles that can eventually break free of the mortar holding them in place. 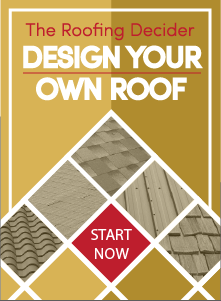 Professional installation of a tile roof can mean the difference between roofing headaches with minor to major repair work, and a roof that you can feel confident will last the lifetimes for which it was designed. If you are in need of tile roof repair, contact Straight Line Construction today.